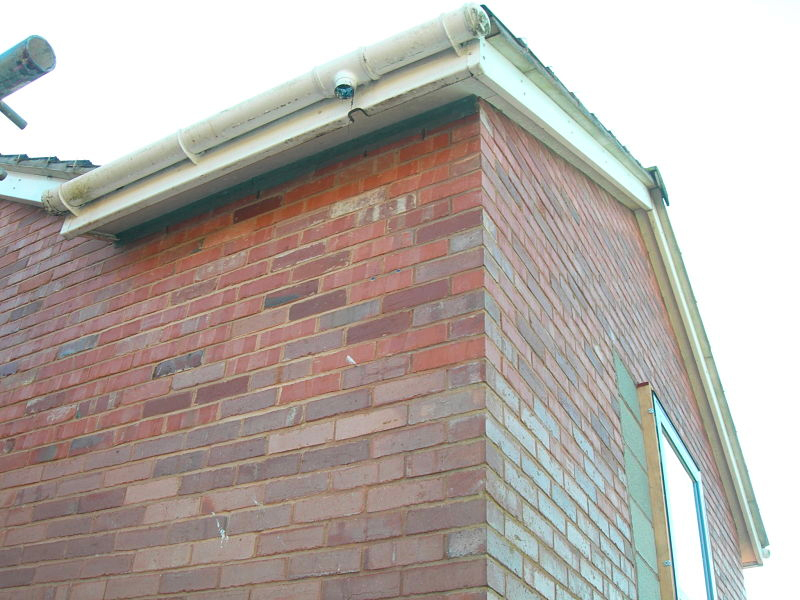 The insulation can be applied to different substrates including block work, brick and existing render. 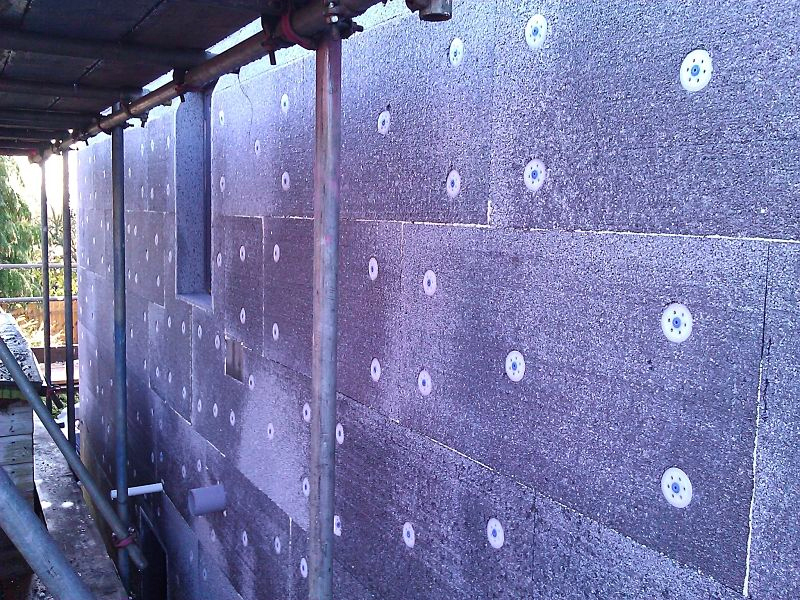 The insulation either, polystyrene or mineral wool is applied using an adhesive on the back of the board which is then stuck to the wall staggering the joints like brick work for extra strength. When the adhesive has cured (usually the next day) the secondary fixings are applied which consists of 6 fixings per board. 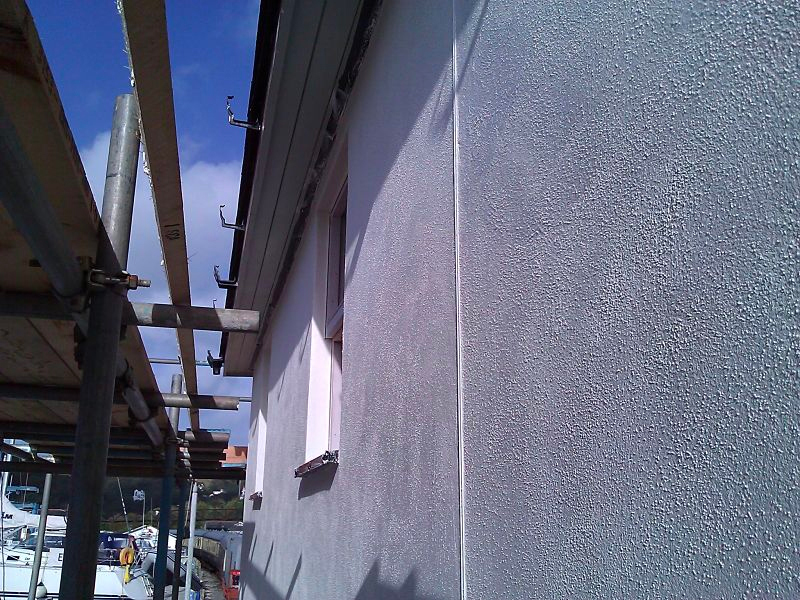 Render is applied using a hawk and trowel or sprayed to a even thickness and the Reinforcement mesh is bedded into the render. All the joints of the mesh are over lapped by 100mm so over the whole wall it is fully covered by the Reinforcement mesh. Any movement from the building will be taken up by the mesh, so there won’t be any cracking. 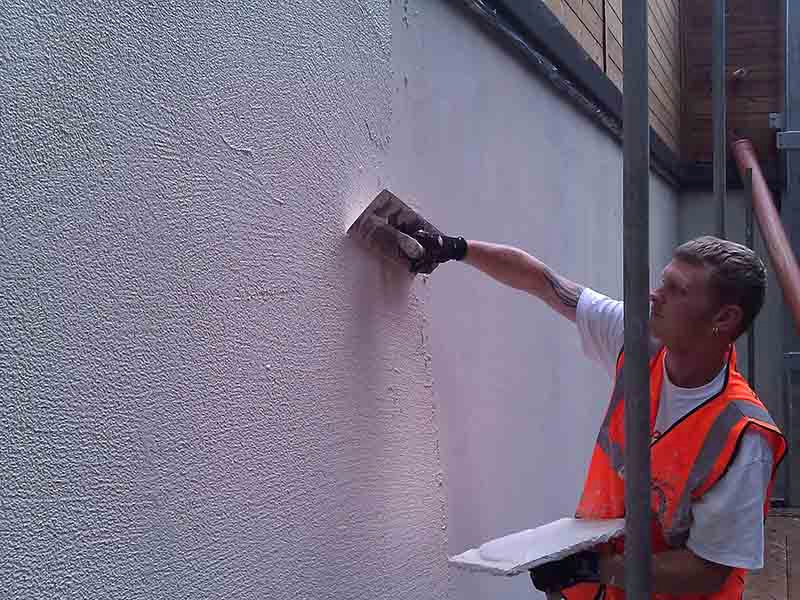 After the Reinforcement mesh coat has been applied the seconded coat of render is used to cover the hole wall finishing with trowels and a sponge to achieve an even flat surface. 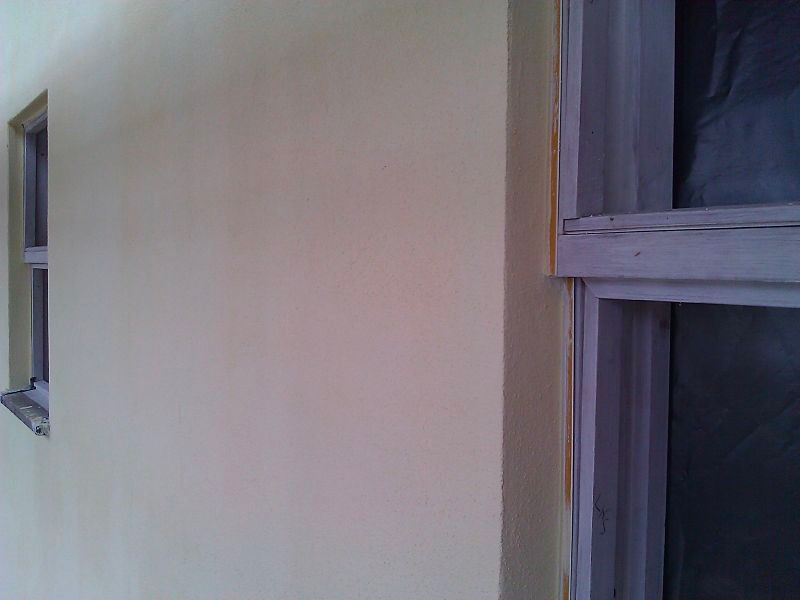 After the render has fully cured ( usually 1 to 2 days) the primer paint is applied with a brush and roller.  This stops the finish coat drying to fast and also acts as a key for the finish coat. 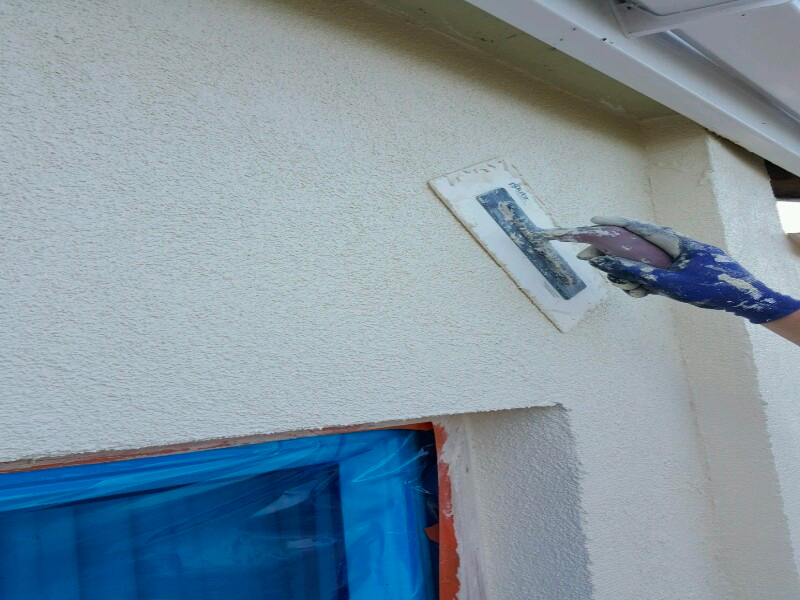 The textured finish coat is applied using a hawk and trowel and floated of using a unique plastic float. 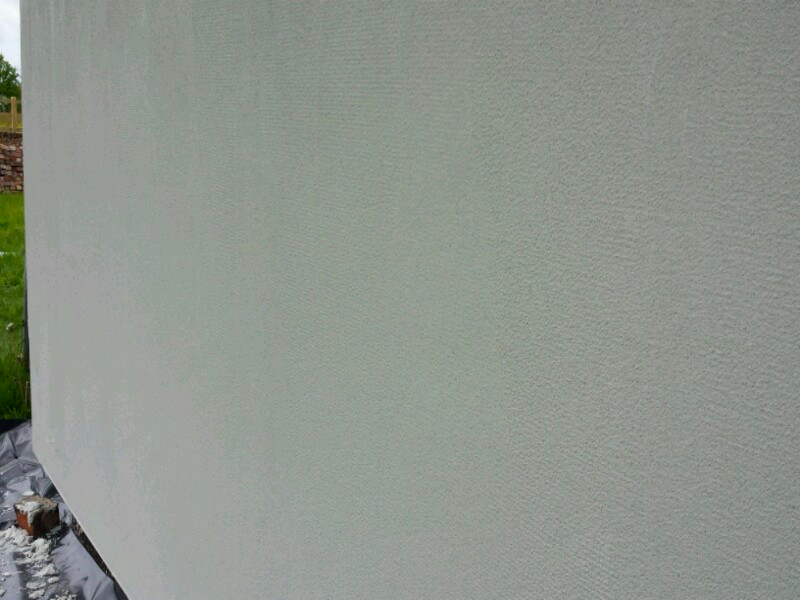 Using a float flattens of the finish coat and allows the texture to become uniform and a even thickness. 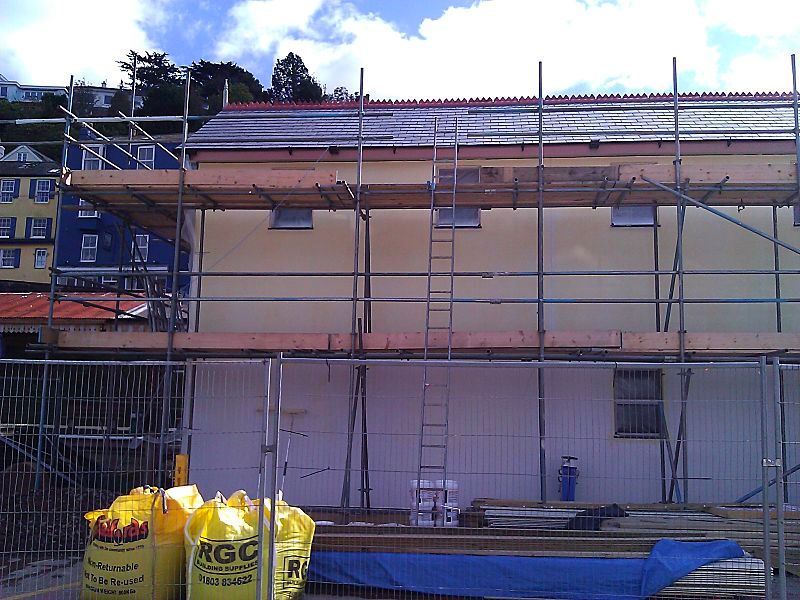 The rainscreen cladding system is used on timber frame buildings where the insulation is inside the frame, a sheathing board is fixed to the timber frame on the external wall and covered with a breathing membrane. 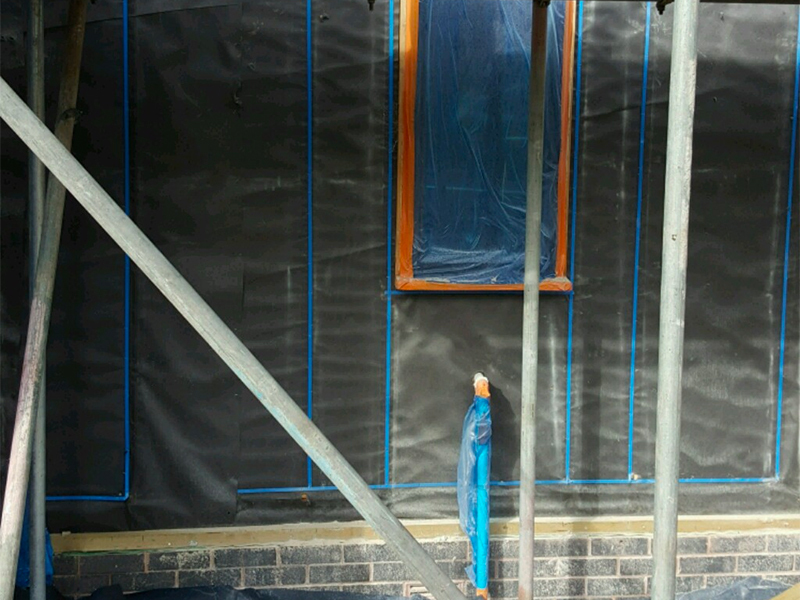 Timber battens are fixed into the timber frame stud work using nails, to give a cavity which allows airflow to circulate behind the boards to prevent moisture build up.The rainscreen board is then fixed onto the timber battens using screws. The window openings are cut out of the board so there are no joints where the window head meets the window reveal. This adds extra strength to the system at the stress points around the openings. 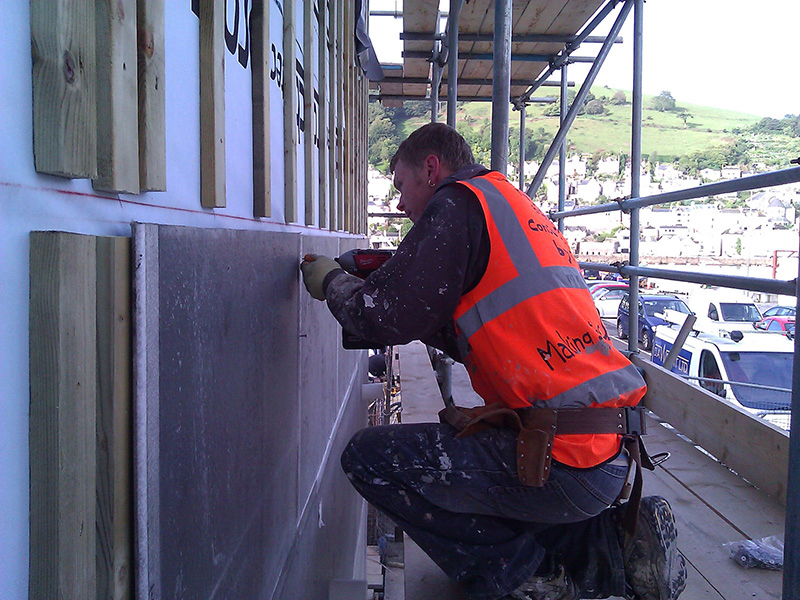 A ventilation bead is applied at the bottom of the board to allow air flow behind the boards.